During the past decade printing technology has advanced, allowing almost anything to be possible. Sending out printed pieces addressing the recipient by name and sending out thousands of pieces naming each individual, addressed to thousands of addresses can happen in minutes. Printing, tracking, and tracing where each printed piece is used allows you to effectively target each customer with your promotion, and it is handled with ease. J & M Printing is a 24/7 printing facility handling finishing services which include binding, foil stamping, scratch-offs, booklets, stitching, and multiple other finishing services. 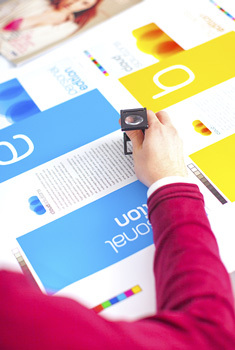 If you have an idea, let us assist you in creating a memorable printed piece. J & M Printing assists casinos across the US in developing creative pieces targeting multiple promotions. Let us put our experience to work for you.